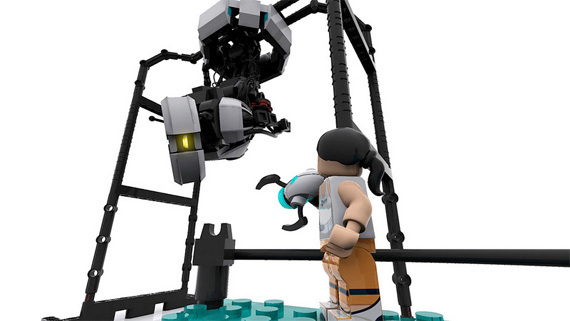 Lego may introduce a kit based on the Portal videogame series now that a petition to do so has gathered enough support to trigger consideration from an official tribunal. The Lego Portal concept was pitched to the brick maker through its Cuusoo platform, the same petition-style site which helped Lego Minecraft come to fruition. If an idea gathers 10,000 or more supporters, Lego promises to take it seriously, passing the concept on to a jury of designers, project managers and other staff. 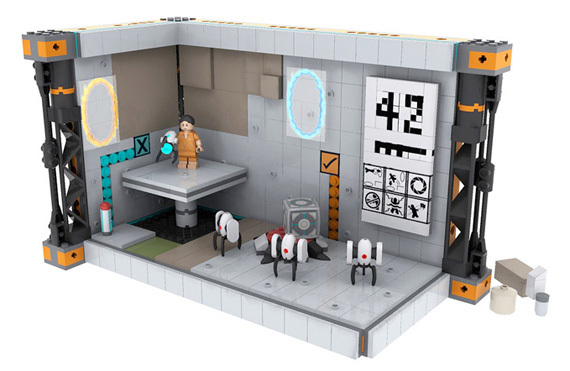 The Minecraft Lego kit already has a place on shop shelves and if the Jury agrees when it meets this September, Portal may well fill holes next to it. Lego would have to strike some kind of deal with Valve first, of course. Piece of cake, right? This week, the company revealed its Lord of the Rings Lego range will hit shelves at the start of August. With several sets and Minifigures to choose from, including Gandalf and Gollum, fans of JRR Tolkien's epic fantasy will have something more creative to do while they wait for the Hobbit movie to screen.